Prestashop social messenger addon by Knowband incorporates live chat support services on the eCommerce store allowing e-merchants to communicate with their clients in a personalized manner. Start a conversation with your potential clients today and from now onwards with Messenger live chat module. Prestashop messenger chat module for Prestashop store is covering numerous features which can be easily customized from the backend, no matter you have coding knowledge or not. 1. Prestashop social live chat support plugin helps e-merchant in offering social live chat support and services to their potential visitors and customers of the store. 2. Admin need not modify the existing code to incorporate the functionalities of Prestashop messenger chat module for Prestashop store. 3. Implementation of Prestashop facebook messenger integration module requires the admin to configure Facebook App Id and Facebook Page Id from the backend of the module. 4. Facebook messenger and live chat addon lets e-merchants change the theme and color of the social messenger icon displayed on the site frontend. 5. Prestashop admin can implement social messenger live chat module services to selected pages only. 6. With Prestashop social messenger addon, admin can set the greeting message delay time in seconds. Select 0 value if you want to display the greeting message without any delay. 7. Prestashop live chat support addon is mobile responsive and compatible with different devices. 8. Prestashop social messenger addon provides compatibility with multiple stores and languages. 9. This social live chat module by Knowband provides SSL compatibility. 10. Prestashop social live chat support plugin works flawlessly with multiple themes. 11. Prestashop social messenger addon offers a smart, interactive and user-friendly UI to the visitors and customers of the store. 12. Knowband's Prestashop messenger chat module for Prestashop store lets admin set and show a message to the customers if they are logged-in and logged out of Facebook. 13. Facebook messenger and live chat addon is easy to activate and deactivate using the toggle button at the backend office. 1. This Prestashop addon eases you in providing personalized 24*7 chat support to your online customers conveniently. 2. 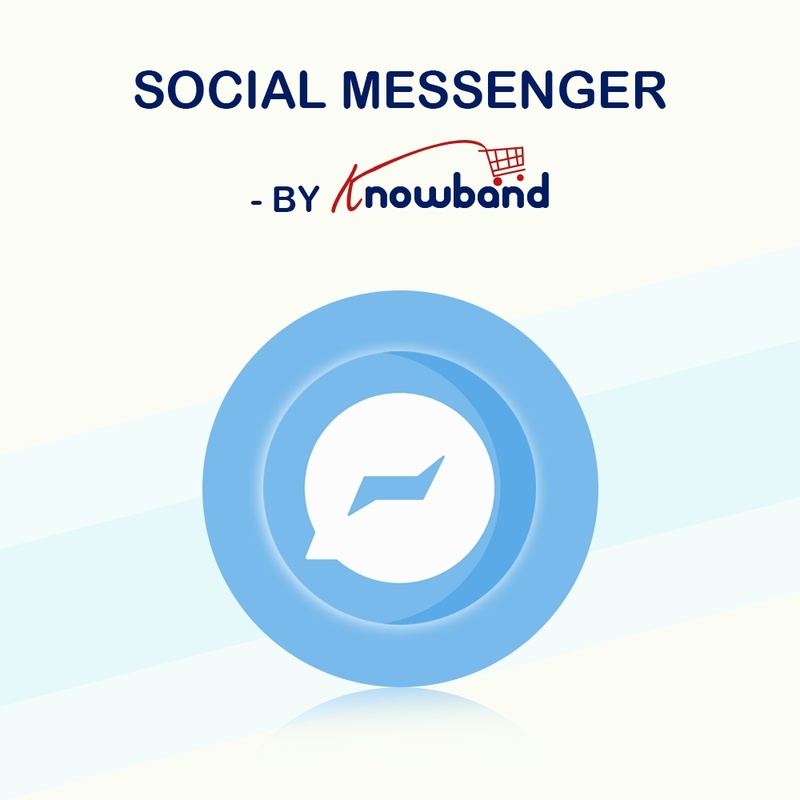 No coding skills are required to integrate and configure the settings of the Messenger live chat module by Knowband. 3. Social Live Chat services help store owners in strengthening their relationship with the customers and hence gaining customer loyalty. 4. Prestashop facebook messenger integration extension can be customized in accordance with the site needs. 5. This Knowband's addon offers you a free trial in form of admin demo along with the front demo. 6. All the installation steps for Prestashop social messenger addon are listed clearly in the user manual. 7. For more information, store merchants can view the complete video tutorial.